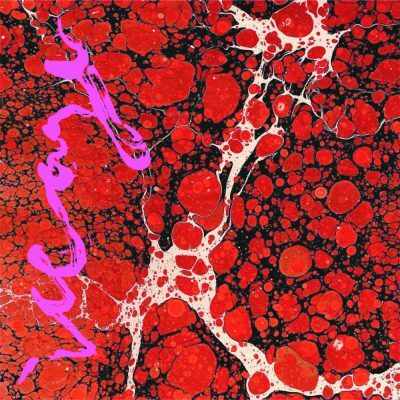 Iceage have always done their best to be experimental, over the top—sometimes they feel like too much. For me, the haggard voice of vocalist Elias Rønnenfelt often kept me at a distance, pushing some kind of button with his grasping, groaning style that turned me off. One could suppose that Rønnenfelt’s voice is as unchecked as it is to keep listeners on their toes at all times. But on Beyondless, that voice, while still bound up in its own miseries, dabbles in seduction. Beyondless is an album with undeniable charisma, twirling the listener in its arms, expertly swinging and dipping them through each track, from the jazzy to the halting and the smoldering. While Rønnenfelt’s voice has always been something I’ve braced myself against, a ragged storm, here it feels different. There is something more inviting about this album, something that swaggers recklessly and compellingly toward new soundscapes. With hook-ier guitars and lively drum beats that pulse with actual vitality instead of pure dread, Beyondless strays from Iceage’s tendency toward all things tortured and morose. Their sharp experimentalism has always set them apart from post-punk bands of the past, but here their raucous tunes are almost playful, hinting at something not quite post-punk going on. On songs like the opener, “Hurrah,” there’s an energy that feels something like old rock n’ roll, something outrageous and trying its damndest to be outrageous. With driving guitars and drums that pound with abandon, the song is a twirl, a swivel that sets the scene. None of the songs on Beyondless result in the kind of bewitching unease all their prior albums howlingly delivered—rather, Beyondless is just simply compelling in all its glittery thrashing. Rønnenfelt’s voice careens through each song, a tipsy relative of Tav Falco’s wry gusto with all the breathlessness of Robert Smith in the Kiss Me, Kiss Me, Kiss Me era. “Pain Killer” is a song of jubilation, with a horn section signaling triumph, joy like illegally purchased fireworks. Sky Ferreira provides backing vocals, belting along, her own careless, emotive voice compounding Rønnenfelt’s passionate cries as they sing together, “I rue the day / You became my pain killer” before Rønnenfelt breaks into a pant of “alright, alright, alright”—a primal confirmation that peppers the lustful song. In the single “Take It All,” one hears Rønnenfelt laugh a little as he sings, “Everyone’s a criminal / Every single last one of you’s a criminal / ‘Cause the world’s a crime.” It’s hard to tell whether he’s marvelling at this ludicrous world and all his possessions in it, and casting them off for the “small and frail deity in front of me / Shining like the fall sun, making lucent patterns in our room,” or whether this deity overwhelms him with its “ever loving” eyes, filled with “brand new sparkles.” As in “Pain Killer,” Rønnenfelt seems to lament desire, lament lust, those bodily, worldly things.